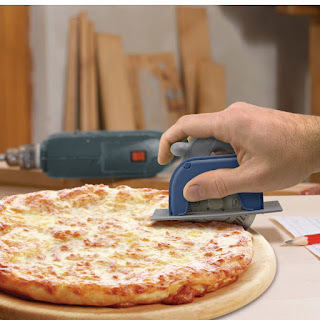 What do you think of this Circular Saw Pizza Wheel? Real men don't use wimpy dollar-store pizza wheels. Show that pizza you mean business with our new Pizza Boss 3000. It'll blast through pepperoni, extra cheese, even those pesky anchovies.